Do Card Readers Need WiFi? 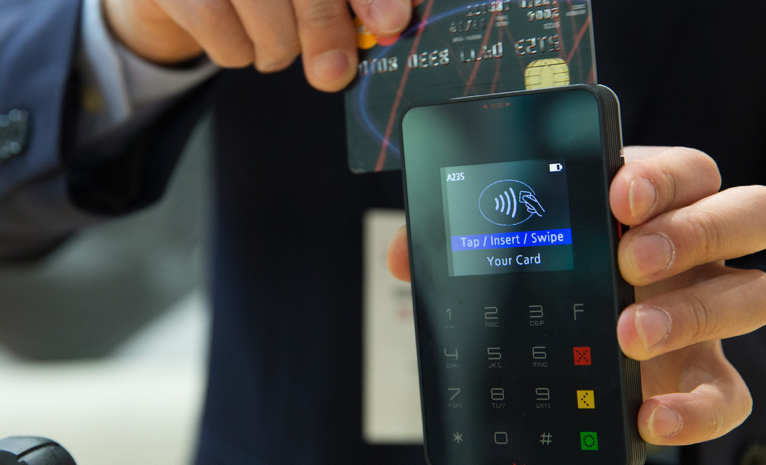 In today’s cashless society, all sole traders, start-ups, small businesses and larger organisations need to think about how they’ll accept debit and credit card payments. Part of this is working out how your card reader (or card machine) will communicate via the outside world. Something I’m often asked off the back of this is, “Do card readers need WiFi?” The short answer is no your card reader doesn’t need WiFi. All your debit/credit card reader actually does is capture a customer’s credit card or debit card details and transmit the data to the POS app. The POS then sends the data on to the merchant acquirer and it does require an internet connection (although not necessarily WiFi) to complete the transaction. To help you understand the role of the debit/credit card reader in the card transaction process, here’s a quick overview. Step 2 — The POS app sends the transaction and payment information to the merchant acquirer via the internet. The merchant acquirer then asks the card network (Visa, Mastercard, American Express, etc.) to verify the card and passes the authorisation info onto the customer’s bank account. Step 3 — The customer’s bank checks the customer’s details and verifies that there are sufficient funds available. Step 4 — The customer’s bank reports the success or failure back to the merchant acquirer and the merchant acquirer reports it back to the POS app. As you can see, the card reader is only involved in a very small part of the process. All it does is collect the customer’s payment details and send them to the POS app. And as I mentioned, the card reader uses Bluetooth to do so. How Do Card Readers Connect? Card readers (for example, the iZettle reader or the PayPal Here) connect to the point of sale app via Bluetooth. More specifically, the card reader pairs with a mobile device (e.g. iPhone, iPad, Android device, etc.) via Bluetooth and the POS app is running on it. To summarise, the card reader itself does not require WiFi as it only needs to communicate with the POS app over Bluetooth. How Do POS Apps Connect? As you can see from the process timeline in the earlier section, the point of sale (POS) app needs to communicate with the merchant acquirer and requires an internet connection to do so. Precisely how the mobile device connects to the internet isn’t that relevant. Merchants will commonly connect their mobile device to WiFi because the connection is stable and fast but they could also use GPRS or 3G if WiFi isn’t available. To summarise, the mobile device and POS app need to be connected to the internet but WiFi is just one connection option. Merchants could also connect to the internet via GPRS or 3G. How Much Data Do Card Readers Require? If you don’t have access to WiFi and are relying on 4G, 3G or GPRS for your internet connection, you might be wondering how much a data card reader uses, especially because data costs are not included in any monthly fees. I think it’s safe to say that even those with a very small data allowance should be able to process payments without too much concern for their data allowance. Do card machines need WiFi? Up until now, we’ve been discussing mobile credit card readers. However, these pay-as-you-go mobile point of sale (POS) options are only a small part of the payment processing industry. Most payment processing is done via debit/credit card machines, the more traditional style terminals rented to merchants on long-term contracts. Whereas card readers rely on their POS app to communicate with your merchant bank, card machines can communicate with your bank independently. Therefore, they need some sort of connection to your merchant bank. Nowadays, this is usually an internet connection but it can also be via a phone line. So, do card machines need WiFi? The answer is that it depends. As I mentioned above, card machines require a connection to the merchant bank and WiFi is just one way of providing it. In the next few sections, I’ll give you a brief overview of the connectivity options of some Ingenico card machines. First up, I’ll discuss desktop card machines. These are the sort of devices you see in traditional retail environments next to fixed checkouts. Ingenico has four desktop card machines on the market, although many more models are still in circulation. As you’ll see all of Ingenico’s desktop card machines have slight different connectivity options. As you can see, only Ingenico’s new model, the Desk/5000, supports WiFi connectivity. That said, it does not need WiFi if an alternative internet connection is provided. The other terminals still require an internet connection but rely on other connections like 3G, Bluetooth, a phone line and Ethernet. Ingenico has three different portable card machines available. Again, there are a number of legacy terminals still in circulation but these are the new models Ingenico is pushing. As you can see, all Ingenico’s portable card machines have a range of connectivity options, including 3G, GPRS and WiFi. As with Ingenico’s desktop machines, the portable card machines don’t need WiFi. However, what they do need an internet connection. Whether that’s achieved through WiFi or some other method isn’t overly important.